I got bored and I created something. Maybe I should be bored more often. 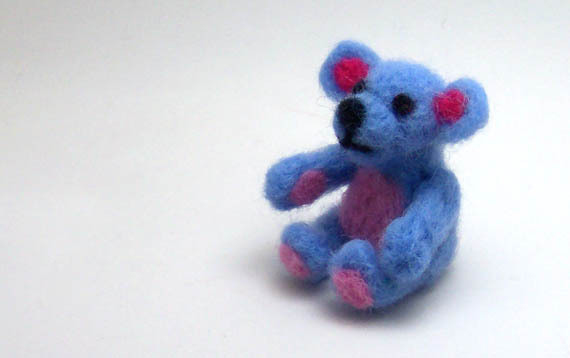 This little blue teddy is something I whipped up this afternoon. 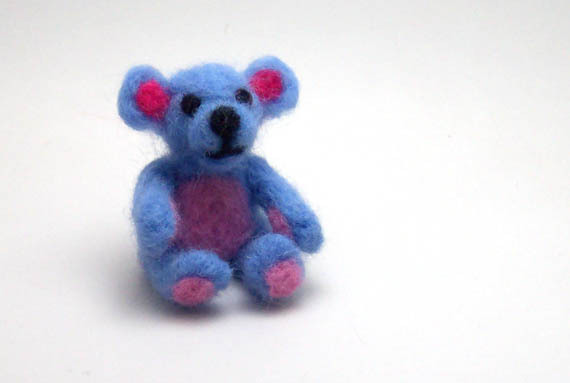 I’ve done needle felting before but this time I worked with a single needle and smaller. 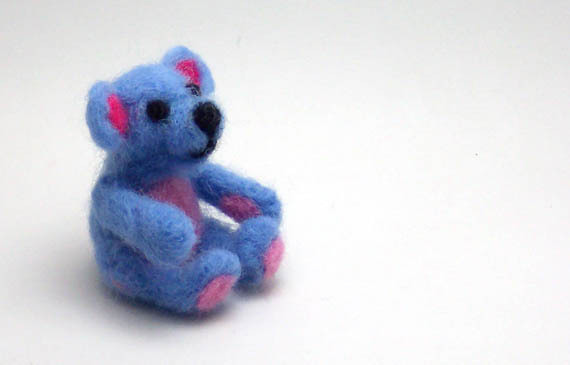 Blue Teddy is going to be a little gift for one of my nieces in Greece who’s just had her first child. Not as a baby toy but as something to keep. I hope she likes him! Now I’m all inspired and want to make more felt animals. Of course its 9pm and I’m tired. Maybe another time. After all, avoiding work never killed anyone. This entry was posted in Craft by zefiart. Bookmark the permalink. 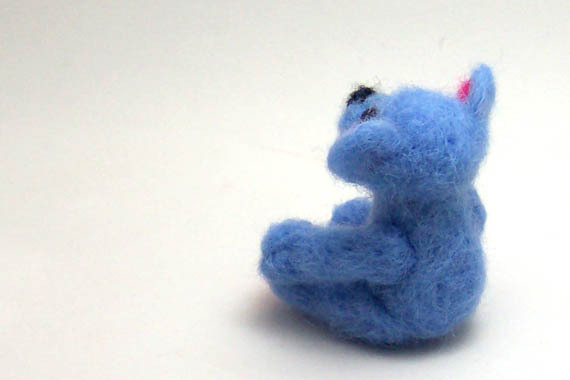 Maybe a felted poodle ….. I love this little fellow though! Yeah… I haven't tackled a felt poodle yet. Wierd huh? 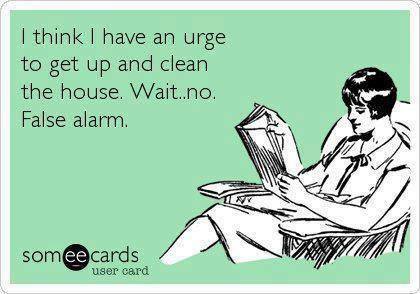 You'd think that would be top of my list! I've done the kangarat, the emu and now the teddy. Next I'm planning on an echidna and working my way through some other natives. Last year I entered a competition with the first two I made and want to enter again.